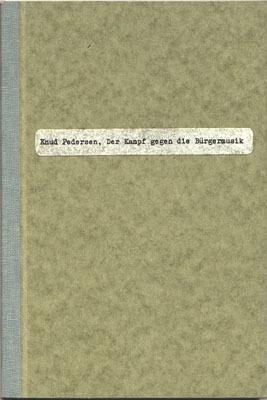 Knud Pedersen was born in 1925, in the small Danish town of Grenå. His career as a public figure started in 1942, when he, together with nine other young Danes, founded the resistance group Churchill Klubben (The Churchill Club). After the war, he turned to the world of arts and culture when he excelled as an organiser.